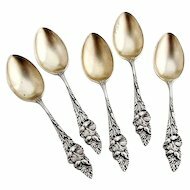 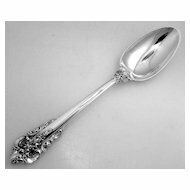 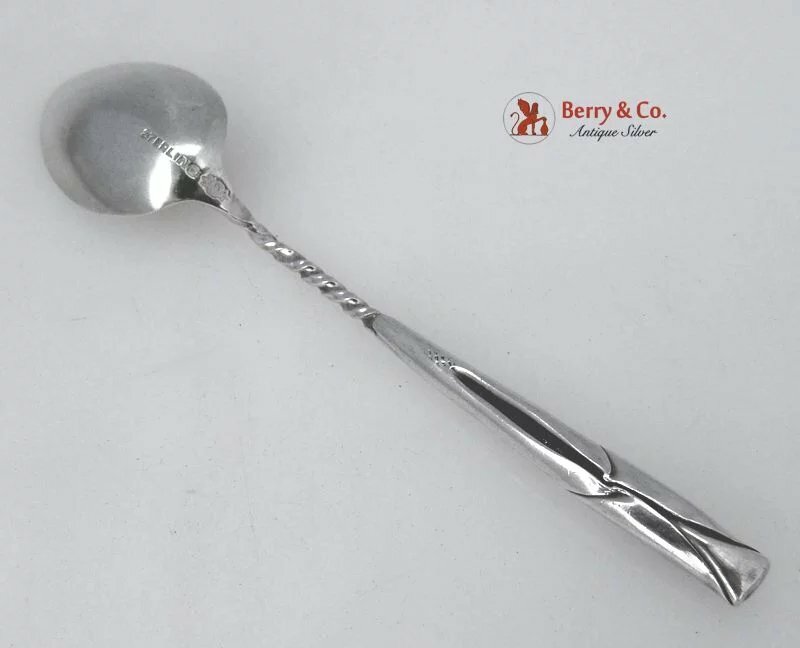 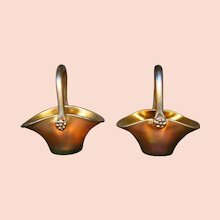 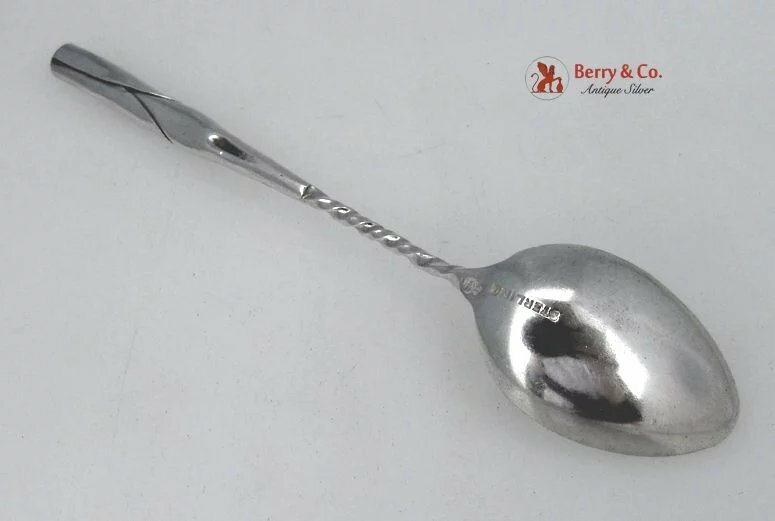 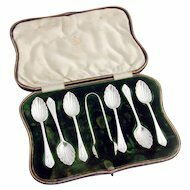 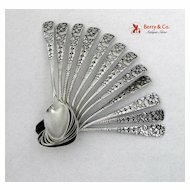 American sterling silver demitasse spoons 6 in an Aesthetic folded leaf pattern with twist handles by Frank M. Whiting, c.1900. 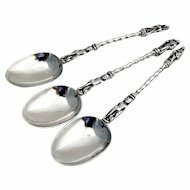 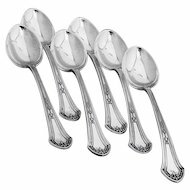 Each of these absolutely darling spoons is 4 1/8" long and the six weigh a total of 47 grams or 1.5 ozs. Troy. 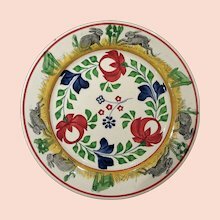 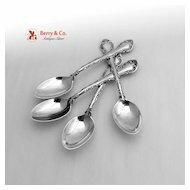 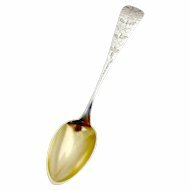 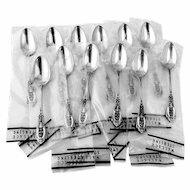 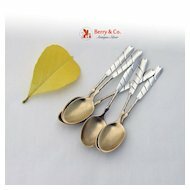 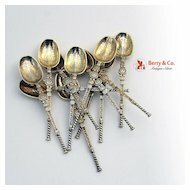 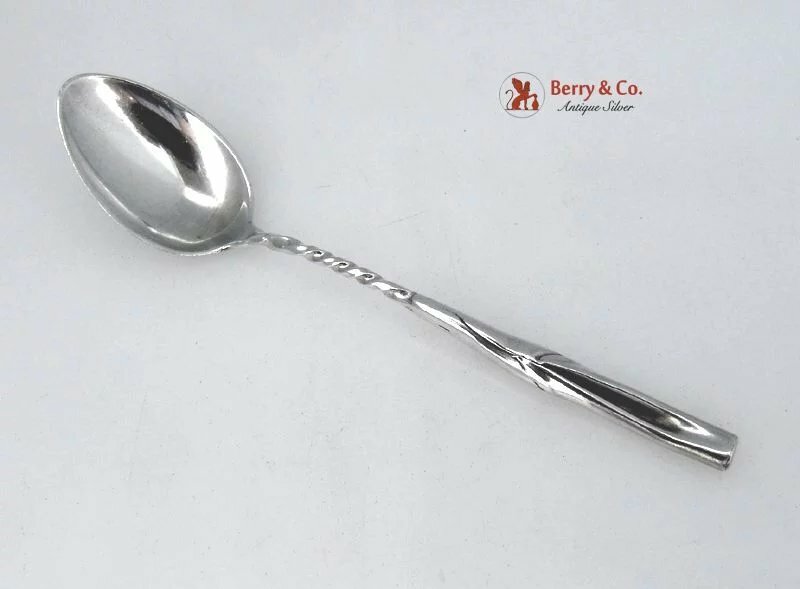 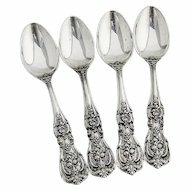 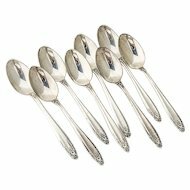 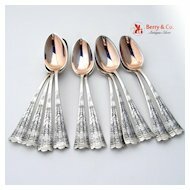 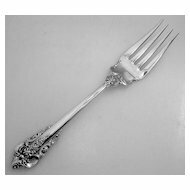 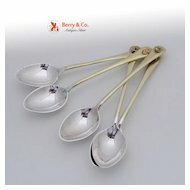 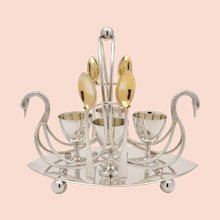 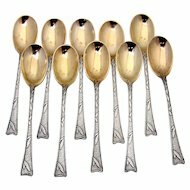 Offered elsewhere for $36 each, our price of $25 each is as special as the spoon itself. 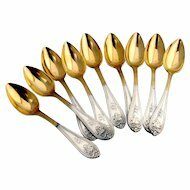 The price is for six spoons.